I began the job hunt immediately after graduating college. Of course there were schools that I really wanted to be part of, most of which were local, but according to the Stones, you can't always get what you want. Once it became apparent that I wasn't going to get a job at a local school, I had to broaden my horizons and I ultimately took a job at a high school that was almost fifty miles away. It was a pretty long commute, but that certainly wasn't the greatest challenge. I think the greatest challenge was that I was not part of that community. I knew one person there - my eighth grade English teacher (who I loved and adored!) now taught in that same building, and thank God for that. Like I said in last Sunday's post, making friends is not my area of specialty, for lots of reasons. So the greatest challenge for me was the fact that, aside from Kim, I didn't know a soul. I had no connections to this building, these people, this community. I was a total outsider. I can say, though, that by the end of my year there, I was slowly but surely becoming part of the culture there, and it wasn't because of my wit, charm, or hilarious stories. It was because I was the theatre lady. I took lots of theatre classes in college (I'm actually only two classes shy of my minor), but never did I believe I would have the opportunity to direct a school's theatre program. I just hoped I would be able to assist with some theatre stuff in whatever school I found myself at. Little did I know that my background in theatre and willingness to take on this mega task would be part of the reason that I got both my first and my current teaching appointments. There are several perks to taking on an extracurricular activity. 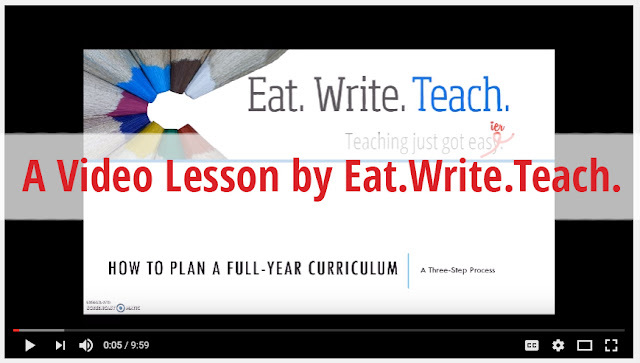 If you (for whatever delusional reason) only took on a teaching job for the "summers off" and the "short work days" and the "snow days" and stuff... well, I have nothing to say to you, except don't even bother sponsoring an activity. Those kids will see through you in a second. You big phony. 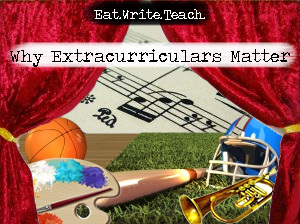 However, if you are a teacher who wants to make the most of their teaching experience, who wants to make a difference and enjoy doing so, then allow me to elaborate on five reasons you should take on an extracurricular activity. It will save your sanity. I always encourage my graduating seniors to take a "sanity class" every semester. College can be miserable if it's all work, no play. I always tell students that they should take electives that make them happy, that further them as a person. I encourage you to do the same by choosing an extracurricular activity that you enjoy! If you enjoy volleyball, volunteer to coach or assist with the volleyball team! If you love research and learning, the academic team might be the place for you. Perhaps you, too, are a video game aficionado; why not get together with the younger gamers in your building and geek out together? (If I had the time, I would found this club in a hot second.) You should become part of something extra that will make even the worst school days bearable, because you have your activity to look forward to! My love of drama club gets me through the tough days and there is no way I would possibly survive test prep season if it wasn't for knowing I could go vent out some frustration on the stage at the end of the day by playing improv games. It will help you become a presence in your building. Being the new teacher in the building is just as bad as being the new kid in school (because, as you teachers know, teachers are just big students). It will be all-too-easy to slip through the cracks and go unnoticed in your building, especially if your corporation has had an unfortunate turn-over rate lately. Don't get me wrong... I'm an introvert. I love being a wallflower and sometimes being invisible is nice. But sometimes it's really frustrating to be invisible! Being in charge of an activity makes you more more noticeable in a positive way. It shows that you care about being there and that you care about the kids and that you are a responsible person. All of that stuff is really important when your administrators are filling out those pesky evaluations. I hope that these five reasons have given you reason to consider my cause. I think every teacher should dabble in an extracurricular activity. I'm not saying everyone should dedicate 10+ hours a week to their activity in addition to teaching time, but would it be so bad to sponsor a club that meets for thirty minutes once a month? The benefits are many, but honestly, there is no greater benefit for me than seeing the pride my students have in their work.